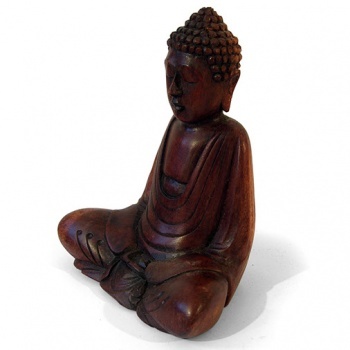 A stunning, handcarved wooden figure of Buddha, the founder of Buddhism. 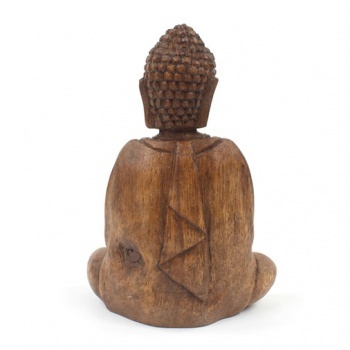 Our Buddhas have been hand carved in Bali using a traditional method of the island. Each carver has taken years perfecting his or her skill to be able to create work to this standard. When depicting Buddha, the positioning of the hands (Mudra) is very important and different mudra represent different things. 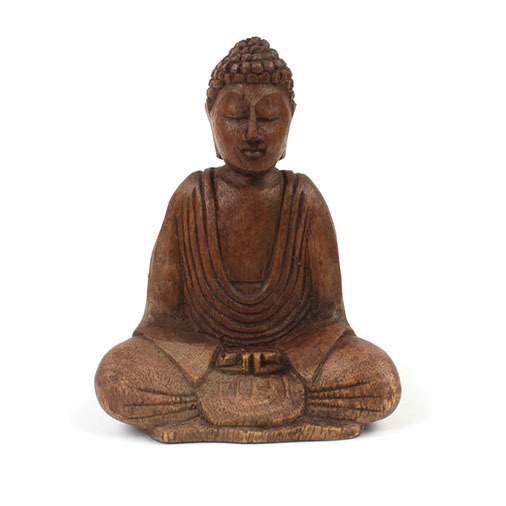 Here, Buddha is shown in the Dhyana or Yoga Mudra, the gesture used when meditating. The sitting position (Asana) for this Buddha is the full lotus position with each foot resting on the thigh of the other leg with the soles facing upwards. This meditative asana is known as Dhyana Asana or Padmasana.